The Crazy Canuck Blog Hop is hosted by Lisa Emme. Join us and ring in the new year by filling your e-reader with books by Canadian authors! As a proud Canadian, I love reading books by Canadian authors. Bonus points if the book is actually set in Canada, which is unfortunately rare. 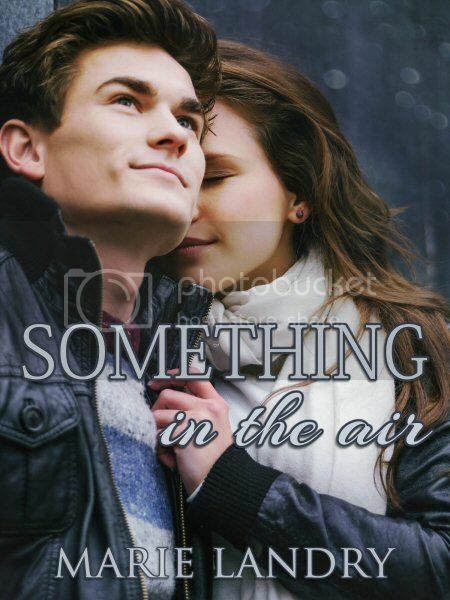 All seven of my novels are set in Canada, including my newest release, Something in the Air, which you can win as part of this giveaway hop! One of my reading goals for 2016 is to read more books written by Canadian authors. If you have a similar goal (or want to set that goal now that I've planted the idea in your head *wink*), and you're looking for some new books/authors, here are a few of my favourite books written by Canadian authors. As you can see, I have eclectic tastes - there's a mixture of both Young Adult and Adult books ranging from historic fiction to contemporary to paranormal to romance to science fiction. What are some of your favourite books by Canadian authors? Be sure to check out the rest of the stops on the hop! Great list! Thanks for participating. Happy New Year! Pierre Berton is my favourite Canadian novelist. Timothy Findley. I think I've read everything he's written. My favorite is Charlene Roberts.